Leo Burnett Malaysia has appointed Mohd Hisham Saleh as director of social content and commerce. 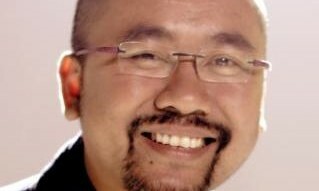 He will be reporting to managing partner Andrew Leong, Leo Burnett told A+M as the agency looks to beef up the strategy and retail team at Leo Burnett Malaysia. In his previous role at MAS as head of social media and innovations, Saleh was involved in the conceptualisation of social media ideas from content development, social advertising to influencer marketing for the airline’s global market base. Saleh also headed the digital crisis management strategy during the national flight carrier’s 2014 airline disasters which involved two of its flight carriers. This follows the appointment of chief operating officer Peter Bellew as group managing director and chief executive officer of MAS. He takes over from Christoph Mueller who stepped down from the role in March. A study by BBC World News and BBC.com/news showed that news audiences expect to see advertising nearly as much on mobile as on TV .. Were you at Twitter’s #ToastAndTweet party?